Early Friday, we told you that Google had updated its Google Current app on iOS, matching an earlier one it had rolled out to Android users. 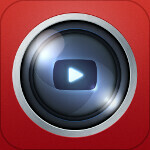 Now, Google is updating its YouTube Capture app. This is a very interesting app that has been available for iOS only, although Google said that a version for Android is coming. It allows users to make a video, edit it by adding color enhancement and/or music and upload it to as many as four social networks with one click of a button. 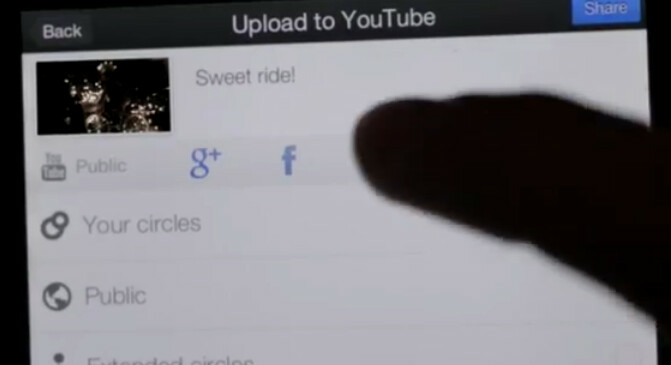 You can post the videos on YouTube, Google+, Facebook and/or Twitter, and even decide who gets to view it. Make the video private and only you can view it, or check the unlisted setting and only those with the link can access the video. If you want the whole word to view it, the video can be uploaded as public. Google is now offering version 1.1 of Capture which adds 1080p uploads (previously 720p was the highest resolution it could handle), quickens upload speeds and improves audio sync. Now that FHD videos can be uploaded, the quicker upload times means that the process of posting higher quality videos is still faster than before. The audio sync improvement means that video and audio come together to present a higher quality experience for users. For those waiting for the Android version to be released, there is still no word on when it will happen. Considering that this an app from the Google portfolio, we wonder if the F word, fragmentation, is the issue here. Awesome! Love this app and it just got even better. I don't understand why there's thumbs down? I didn't say anything offensive at all towards android, stop being so negative about anything not android please -_- it's a great OS, but so are the other ones. I don't think this will come to android as it is a stock feature on all android phones (at least from 4.0 and onwards) just select a video > menu > share > youtube. The interface also looks exactly the same when you follow this method, so yeah, its yet another feature android has had for ages that now ios users think they can brag about.. notifications, panorama anyone? Actually, I think you'll find that's just on this site, where most of the fanbase is arguably android users (who tend to be the ones more into the tech that their phone has, hence why they come on here) In reality, which is what I was referring to, the only people who 'brag' are those with iphones, and it's these people who android fans and people who have an interest in specs and phone functions get annoyed with, as I was expressing in my point. Personally, I don't like Apple because of their cult following and the ethos of the company. In this instance I was referring to the 'cult' following whilst making a valid point that we may never see this app on android.. Not trying to start an argument, because that would indeed be pathetic. This app rocks, I love it!